we pull more and longer plugs! 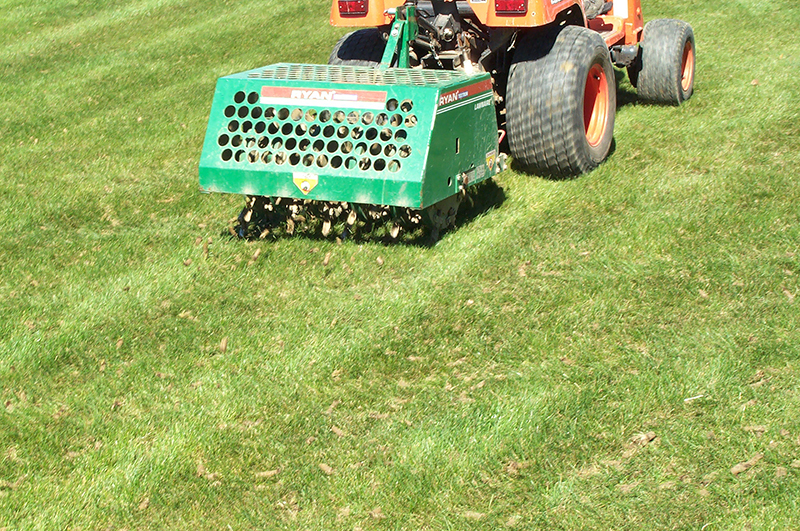 We offer the most effective and reliable core aeration service you can find. 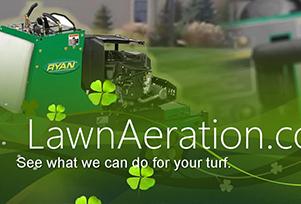 Lean more about he benefits of aeration. 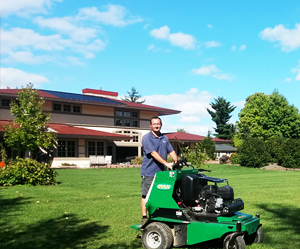 If you're in Central Ohio we can plug your lawn in minutes and provide the best possible results. 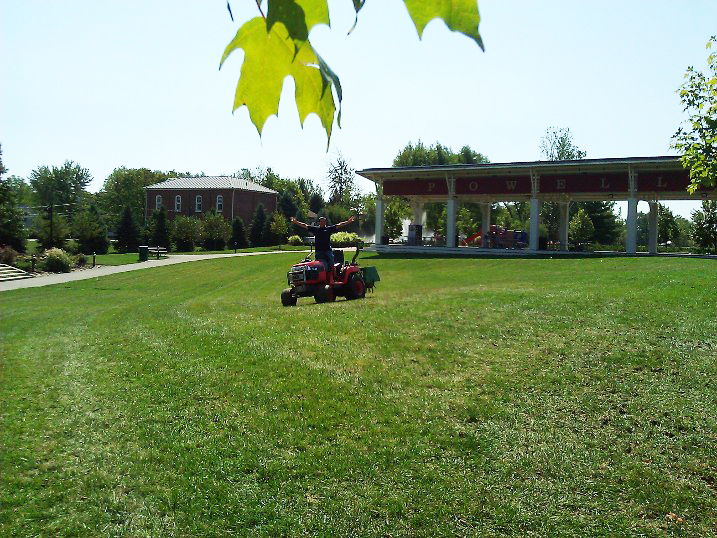 Our Pros can assess your turf and provide options to get your grass in shape quickly! 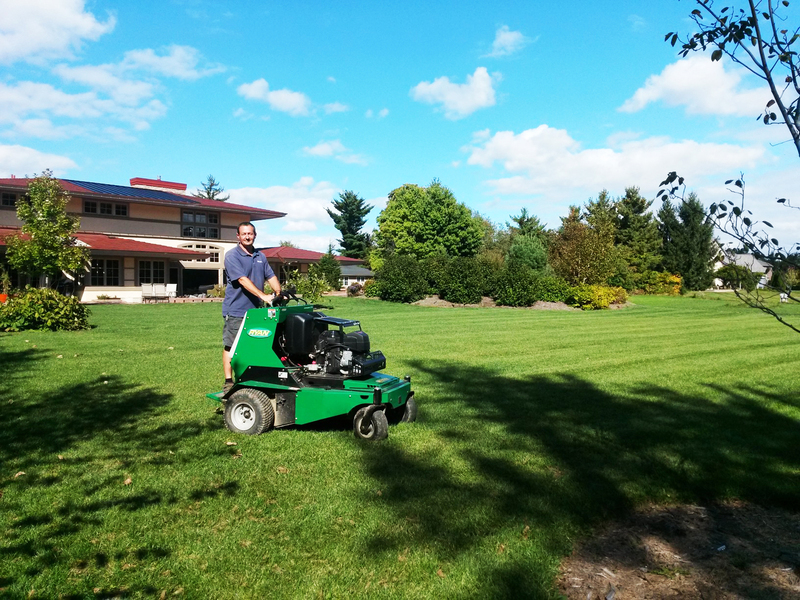 We also provide seeding and other services in conjunction with aeration to improve, boost, or recover your lawn! Our team uses the most advanced machines in the business. 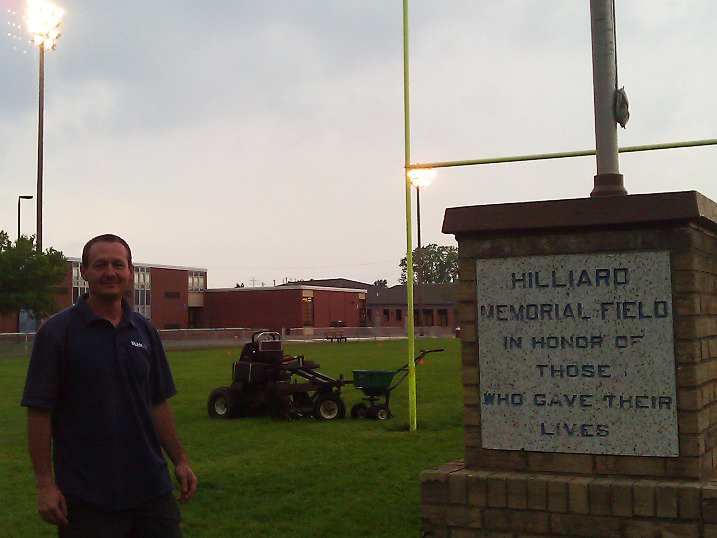 It's the only way to get the job done right, and efficiently. 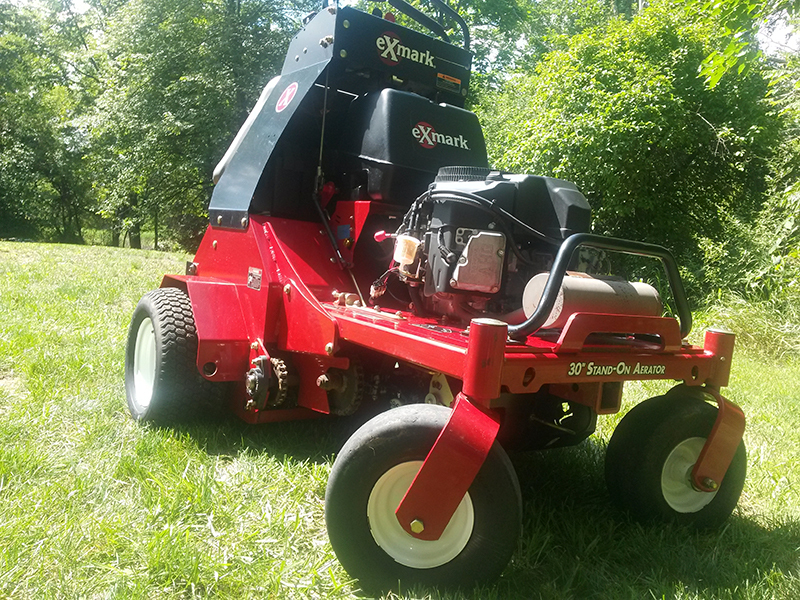 We have various types of core aerators, seeders, slit-seeders, slicers, de-thatchers, and spreaders to get the job done right. 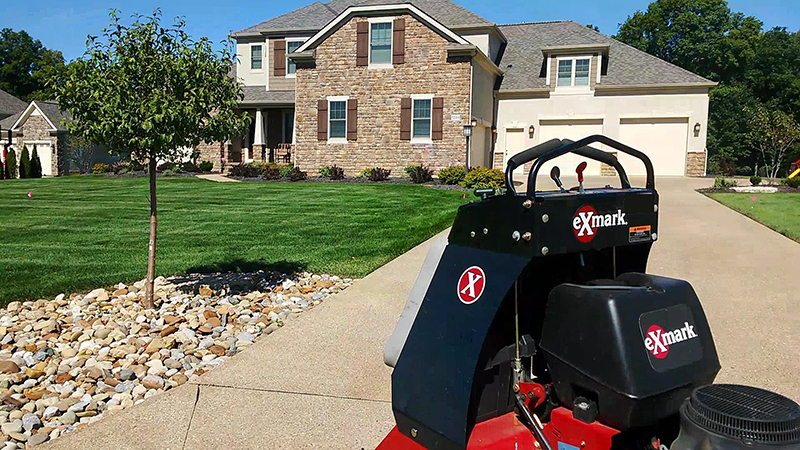 No one can match our versatility and equipment line up. 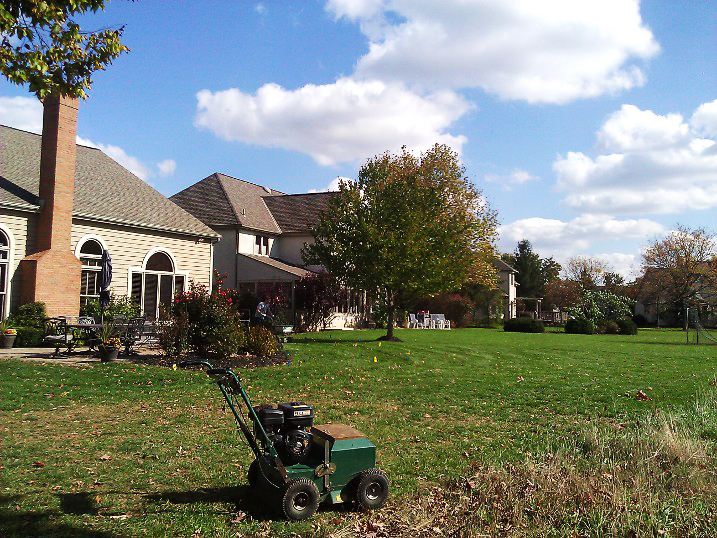 Our process from schedule to completion gets you fast results. Usually in only one appointment! 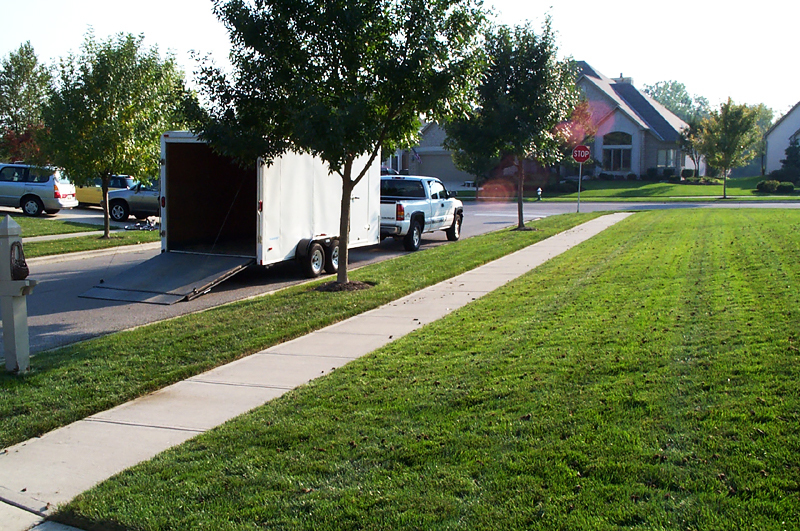 We specialize in these services and are very efficient. This allows us to set unbelievable Rates! 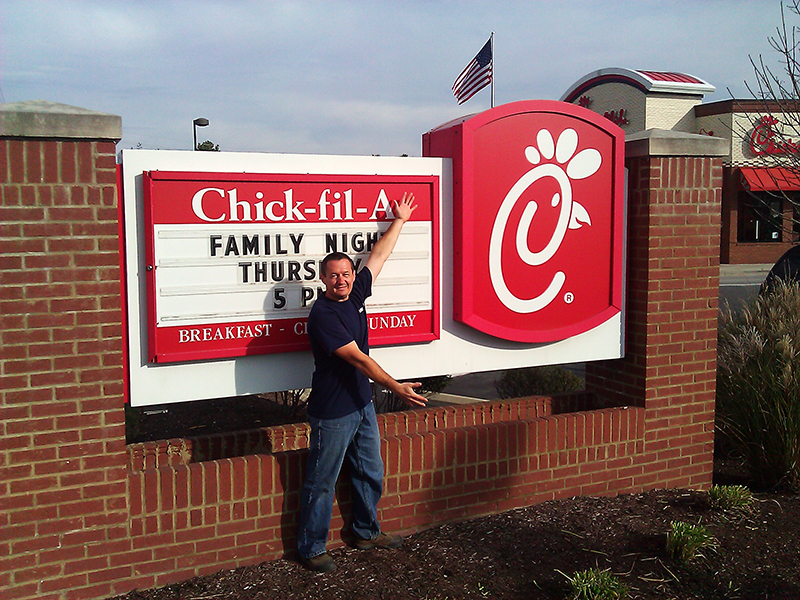 We have great Customer Reviews, and have even won Angie's List coveted "Super Service" award! 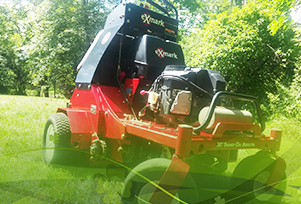 Hydraulic down pressure, ease of operation, extremely maneuverable, perfect pattern. 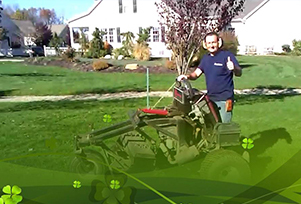 Adjustable depth gauge, large or small lawns, gentle on turf, ride or walk, excellent results! Z-plugger is smooth & fast! !